INKin' All Night! : Love, Berry Burst Style! Well the week is passing by so quickly! I hope wherever you are that you have nice weather and you're feeling great! This is why we live in AZ, our amazing weather right now! Sometimes the simplest things are so striking! That's what I love about this card! 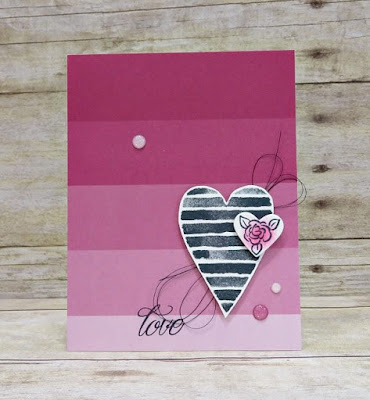 Use one of the pieces of Color Theory DSP stack for the monochromatic background and add a simple black and white stamped heart, and a small flower accent that is barely sponged with a dot of color! Add a couple of gems and a little black wire ribbon and tah-dah, amazing! 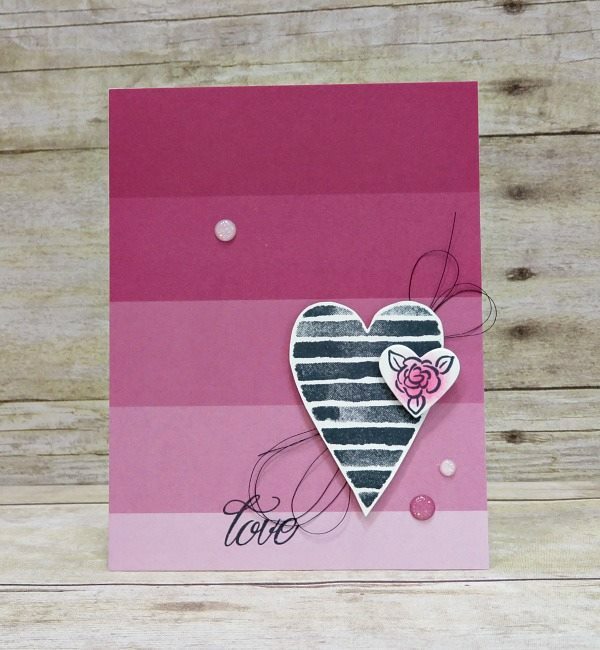 This card features the Heart Happiness and Lovely Friends stamp sets and black ink! The black and white heart is cut out with the Lots to Love Box Framelits and the small flower is cut with the Sweet & Sassy Heart Framelits. Add some Glitter Enamel Dots and a little sponging and you're done!! I hope you're enjoying the ideas from my Project Sheet co-op, PS Just For You! 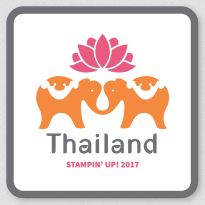 Labels: Color Theory DSP, Glitter Enamel Dots, Heart Happiness, Lots to Love Box Framelits, Lovely Friends; Sweet and Sassy Framelits; Berry Burst, PS Just For You, Stampin' Up!